The International Year of Family Farming is an opportunity to reaffirm the global importance of smallholder family farming, as producers of food, as carers of the landscape, and as contributors to rural economic activity. However, to unlock the potential of family farming requires more than ensuring smallholder access to productive inputs and technologies, natural resources and land, financial services, and an enabling policy environment. We also need to look within the family. Intra-household dynamics are crucial to the productive and long-term success of family farming. Farming families usually share the same living space, eat from the same pot and rely on the family to undertake most of the work. Yet there is often a disconnect between the workloads of family members, their voice in decision-making and their sharing in the benefits. And, in some parts of the world, men and women within a household even pursue separate livelihood strategies, with women typically disadvantaged in terms of access to resources, services and markets, and burdened by more onerous daily tasks. Consequently, what happens inside the family has substantial implications not only for individual motivation and well-being, but also for the productivity and investments of smallholder family farming. It is essential to consider the family dimension if this International Year is to generate a commitment to developing the full potential of family farms. In recent years, several methodologies have been developed to work within the ‘black box’ of the household. The formation of a ‘family vision’ to which adult family members contribute – together with older children, in many cases – enables the family to conceptualize and work towards shared, time-bound goals. Households are facilitated through this visioning process in various ways, including individual home visits by a trained mentor or extension worker, or initial skills development at a group level which can then be replicated and sustained at the household level with the support of peers and trained facilitators. One of the strengths of the methodologies is that they can be adapted to local situations and household forms (such as polygamous or female-headed households). Household methodologies are currently being implemented by governments, development agencies – including IFAD - and NGOs. The experiences of IFAD-supported programmes in Sierra Leone, Uganda, Ghana and Malawi, and an IFAD grant-supported project led by Oxfam Novib in Uganda, Rwanda and Nigeria, demonstrate that household methodologies can contribute significantly to development objectives, as well as gender equality in family and small scale farming activities. Transformation methodologies, such as household approaches, show that cultural norms that have existed for generations can be transformed within one or two years, simply because the benefits of collaboration are experienced so rapidly. Women begin to exercise more decision-making power and suffer less gender-based violence. Men start to take on domestic and caring tasks and share work on the land, thus freeing up women’s time and securing men many personal benefits, such as more positive relationships with their children. Decision-making regarding household income flows and expenditures becomes more transparent and starts to involve all adult- and, in some cases, child-household members. As a result, participants report that their livelihoods are now more sustainable and resilient, farm productivity and incomes have increased, food security is better and, simply, they are happier with themselves and other household members. Local economies have also been boosted. Moreover, this tool is proving very powerful in identifying and addressing gender and inter-generational inequalities, as well as health-related issues such as HIV/AIDS, by generating changes from within the household, rather than imposing them from without. Since household methodologies do not seek to empower women at the seeming expense of men, during the process of planning a household livelihood strategy all household members come to realize that working together is a win-win solution that benefits everyone. Abigael, wife in male-headed household participating in Irrigation and Rural Livelihoods Project, Malawi. 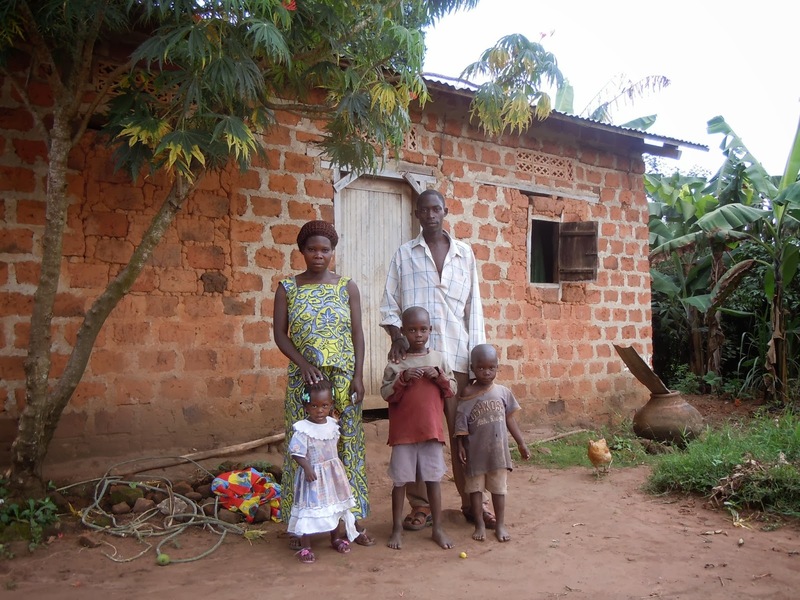 What role is IFAD playing in promoting household methodologies in family farming? IFAD is one of the leading agencies innovating with household methodologies to have more effective reach among poorer households and to improve intra-household gender relations. The Fund has a critical mass of initial experience, is a catalyst for knowledge exchange on innovative methodologies related to rural development, and has a strong presence at the field level. IFAD has played a key role in promoting household methodologies and, with the support of funding from the Government of Japan, organized a workshop/writeshop in Uganda in late 2013 to develop a sourcebook on household methodologies. This brought together 25 practitioners from all over sub-Saharan Africa working on different transformative methodologies at the household and community levels. The sourcebook will be released in the first half of 2014 and specific training activities will be organized to up-scale the adoption of these methodologies in IFAD operations.